Built by Horizon in 2003 and maintained to the highest standard, Lady Marcelle is a 27m yacht that speeds up to 17 knots and is the ideal size for exploring the best of the Adriatic. 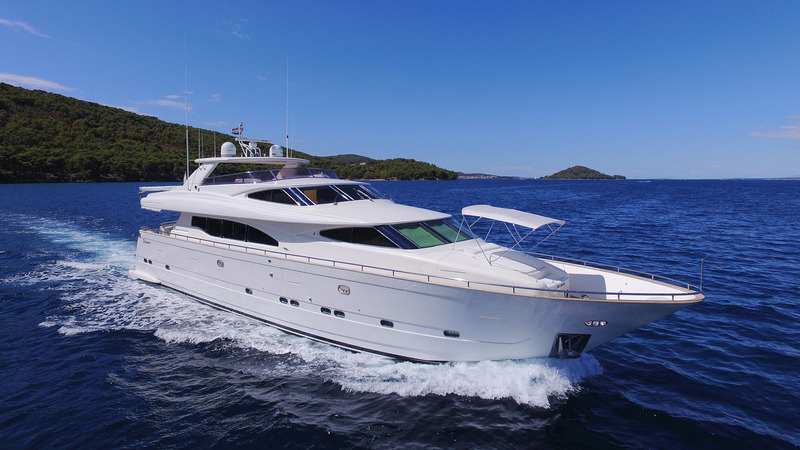 Plenty of indoor and outdoor entertaining areas, and an extensive selection of water toys make her the ideal charter yacht for socializing and entertaining with family and friends. Lady Marcelle accommodates eight guests in four ensuite air-conditioned cabins, which are looked after by an experienced crew of four.